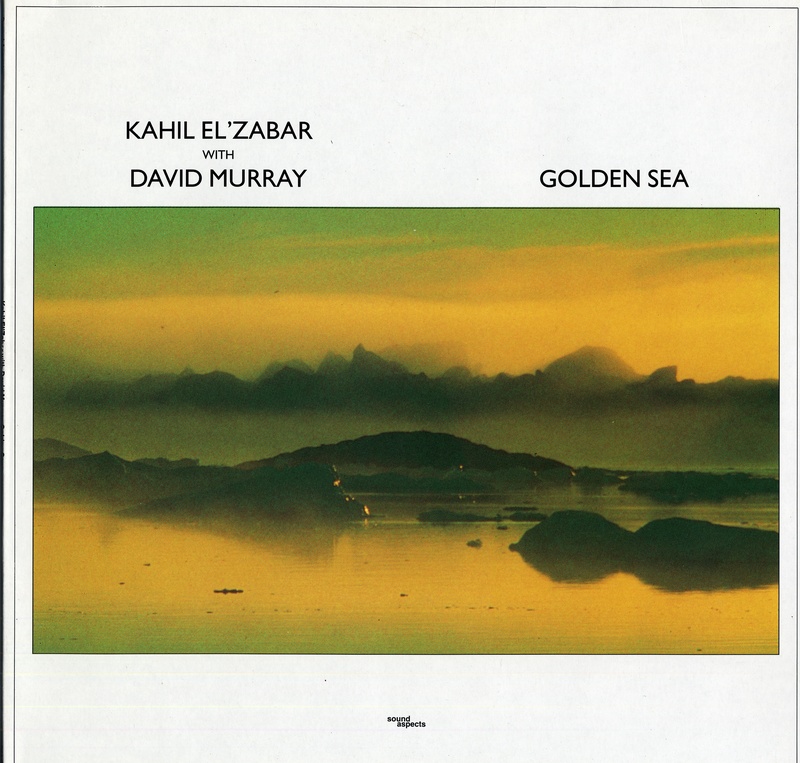 Kahil El’Zabar and David Murray seem to bring out something special in each other. They’ve been consistent collaborators: El’zabar has been in a couple of Murray’s quartets (including the excellent, but hard to find, People’s Choice) and a couple of Octets; while Murray’s been on four duo albums under El’zabar’s name. All the duo recordings are worth owning, but this (for me) is the strongest. It’s also sadly the hardest to get hold of; and I’m not sure it even got a CD release. El’Zabar and Murray share an interest in Afro-centric music and pan-African culture, and this is apparent in much of the music here. The very title of Murray’s ‘Song For A New South Africa’ is an index of this. However, the orientation is surprisingly best achieved on their interpretation of Miles Davis’ ‘All Blues’. Murray is at his plaintive best on Bass Clarinet, while El’Zabar plays the Mbira or Sanza (which the LP lists as separate instruments, but which I’ve always understood them to be two names for the same Shona ‘thumb piano’ instrument). The track reaches its peak with Murray playing and El’Zabar singing. This is, perhaps, my favorite piece of Murray Bass Clarinet ‘ballad’ playing. He seems to take a perverse pleasure in playing a bass instrument beyond its usual highest frequencies, and draws upon the textures of gospel playing to create a sound I find deeply affecting. A haunting and beautifully-realised cultural and musical fusion. ‘Sunrise Serenade’ features El’Zabar alone on Mbira/Sanza with ankle bells and a wordless vocal and rhythmic chants. It’s one of the best tracks on the LP for me, though some may find it a step too far beyond jazz sensibilities. Each track has a distinctive texture, achieved most often by El’Zabar’s use of different percussion instruments (Murray has never made major changes to playing style across his whole career, let alone an LP). ‘Dreams’ features a hand drum (I’m guessing it’s the Ashiko drum) and a more meditative and gentler start for Murray on tenor before his characteristic gospel-rich style kicks in. I’m also speculating when I say this sounds like a total improvisation from Murray; a notion backed up by the fact that none of the pieces credited to El’Zabar have strong melodies (a Murray characteristic). I think the balance (on this track and the whole LP) works very well overall, though, giving a sax and percussion duo album a lot of variety. For Sweet Meat El’Zabar plays conventional jazz traps with lots of cymbal ride and rhythmic work on the tuned drums while Murray’s ecstatic tenor runs build in intensity. This is possibly the most conventional duo piece, but executed with panache. Song For A New South Africa features a poly-rhythmic hand drum and ankle bells textual bed, and a fairly straight-forward rendering of the strong melody riff by Murray. They clearly liked this number because the duo repeated the piece on record three years later on A Sanctuary Within, and thirteen years later on Love Outside Of Dreams with very similar, if slightly more complex renderings. 1989 was a classic year for Murray, and his work made available in that twelve moths is remarkably wide. Albums released in that year included a James Brown-tribute funk project (Cold Sweat), a challenging piano-sax duo with Dave Burrell (Daybreak), an attempt at the jazz mainstream through the Columbia-released Ming’s Samba, four other jazz quartet albums under different group names and for different labels (I Want To Talk About You, Last Of The Hipmen, Lucky Four, The Fo’tet), and a WSQ collection of soul and funk covers (Rhythm and Blues). This one fits in the eclectic moment comfortably. This is one of my favourite DM albums, which I have long wanted to replace my LP with CD. Unfortunately I have never seen it on CD. This duo opened the new Jazz Cafe in London in about 1990, which was a memorable night. Sadly the Jazz Cafe didnt make enough to pay its bills with its original jazz policy and changed hands. It now has a much more commercial slant of little interest to me at least. You can convert the flac file into a wav file and copy it to a CD.